What a bloody disaster of an Easter break! So, we thought the snow at the West Country Game Fair was a unlucky but then no, Kelmarsh was completely drowned! Hard start to the season! They are all the right calls in respect to the organisers, but mother nature needs to take a day off! With the Great shires this weekend and East Anglian Game Fair at the end of the month, I am hopeful we can get this show season back on track. I have finally got enough time to start writing my monthly blogs again, I apologise for my absence in recent months. What is the news with Fortis? Well the Fortis customer base has been out in force in 2018 hitting new record highs at the British shooting show and taking our weekend target at the West Country Game Fair in one day! New trading accounts have been opened in 3 different countries, we are looking for specific points of sales around the world and having some good success. 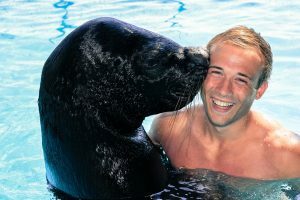 We are now looking at huge developments here, all of this will be added to the company as the season comes along. 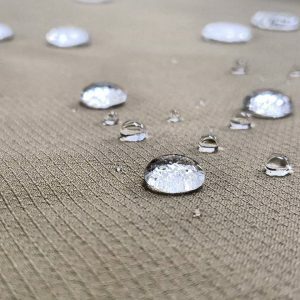 This fabric is a ripstop 100% nylon with a soft cotton feel for hard use. We have this cloth, for the light summer market of deer stalking, hiking, walking and other activities that require ultimate breathability. We can make any of our garments in the Elite fabric, we can also make the garments waterproof if you wish. 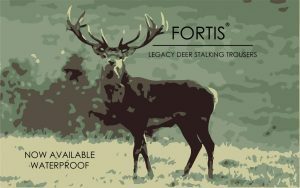 All the team here at Fortis are convinced that the Elite stalking trousers are as good as it gets on the market today. They are water resistant, dry within 15 minutes from soaking wet, durable and are 300 grams. Let us know your thoughts, we are keen to see what people think of these trousers. Please ask to see them at shows. Next month there will be another product launching and again unique to Fortis. We hope you can all see us along the road on the show circuit or at the shop, where ever you are in the world thank you for your support. We really do appreciate it.